The largest trade in Overwatch’s young eSports history just went down, and it looks very much like a set up for regional rosters in keeping with announcements surrounding the Overwatch League. Misfits, Rogue and Luminosity were all part of the big swap, which they say was intended to strengthen both their teams and the scene overall. Most notably, it brought players who speak the same language and are from the same countries together. For what’s coming next to the game itself, check our very legitimate theories on Overwatch Christmas skins. What’s not shown there is Misfits’ two-thirds-new squad is now all Swedish, while nearly all of Rogue is French with Skipjack a German outlier, who is learning the language rapidly. The Luminosity line-up also speaks French, and will be joining a Toronto-based gaming house. 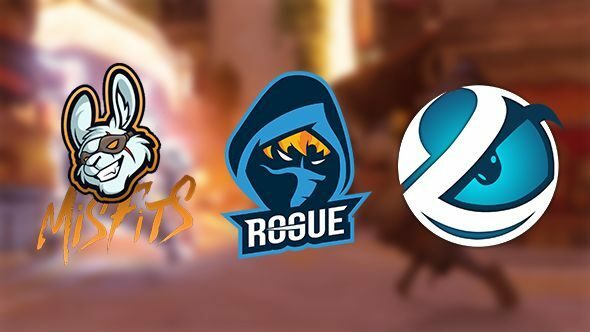 Predictions already see Misfits signing up as an official Stockholm team in the upcoming Overwatch League, while Rogue takes Paris and Luminosity base themselves in Toronto. Of course, that depends on Blizzard actually getting the thing off the ground in the coming year, which we know relatively little about. It’s also assumed that the earliest form of the League will be more heavily US-based, making these teams’ placement a little odd.